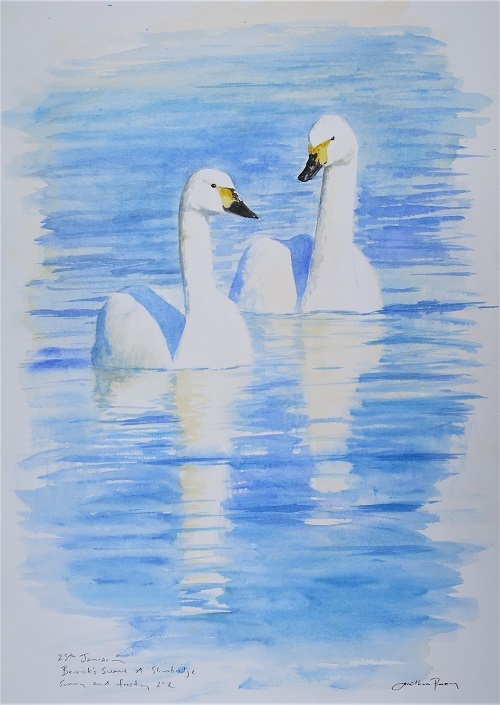 Solo exhibition at WWT Slimbridge, 20th September- 6th December 2017. 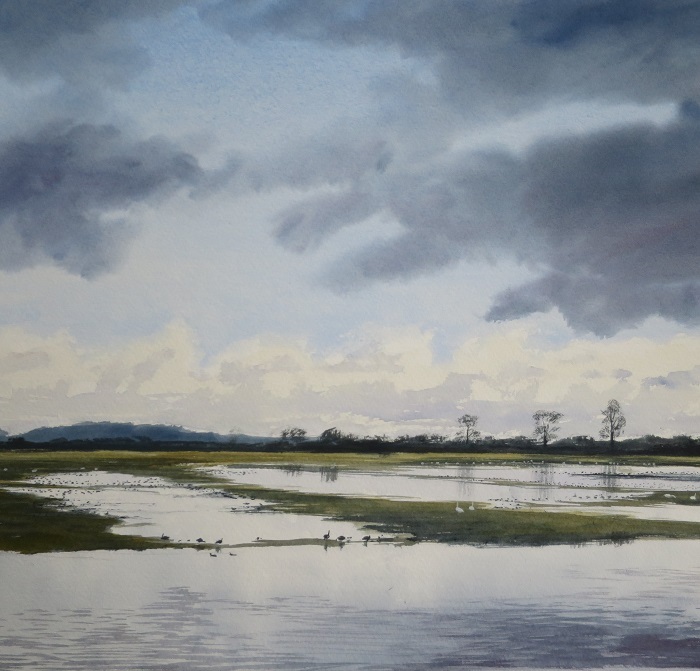 All the work for my forthcoming exhibition is wrapped and ready to go to The Wildfowl and Wetlands Trust centre at Slimbridge. The exhibition starts on Wednesday 20th September and continues until 6th December. Here is a selection from the 37 new paintings on show. 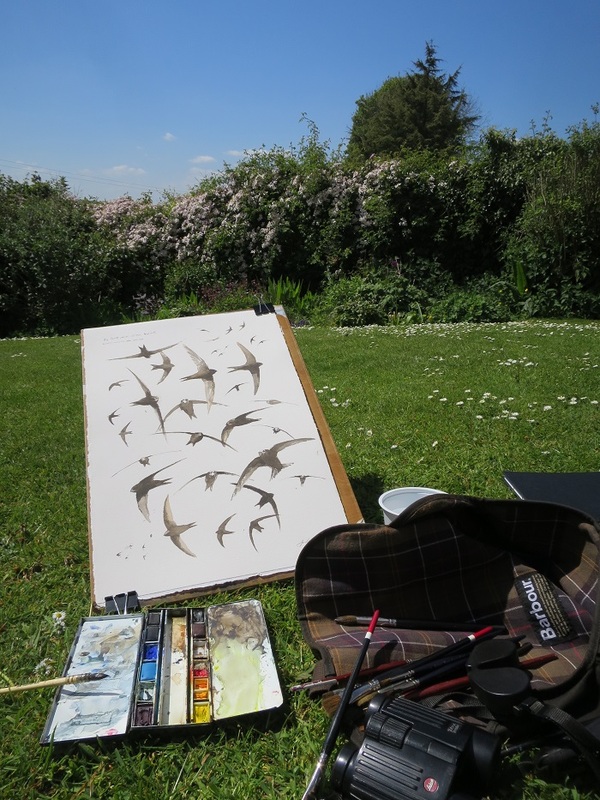 I always love returning to Slimbridge, a place where I spent many happy days filling sketchbooks as a student in Bristol. But also to feel the legacy left by Sir Peter Scott who helped to found the modern nature reserve by bringing people and wildlife together. 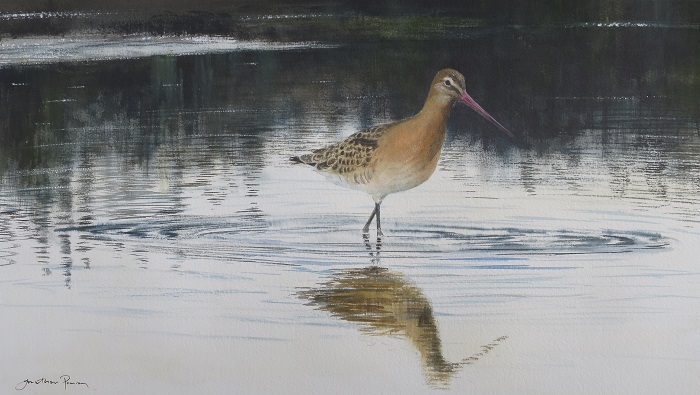 Here are some of the paintings I will be showing on stand 37 in the Art Marquee at this year’s Birdfair. 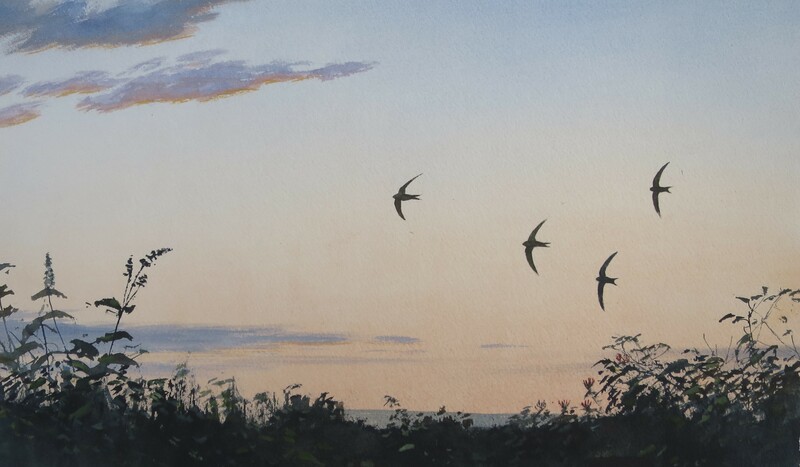 As always Swifts feature prominently after another summer of observation. 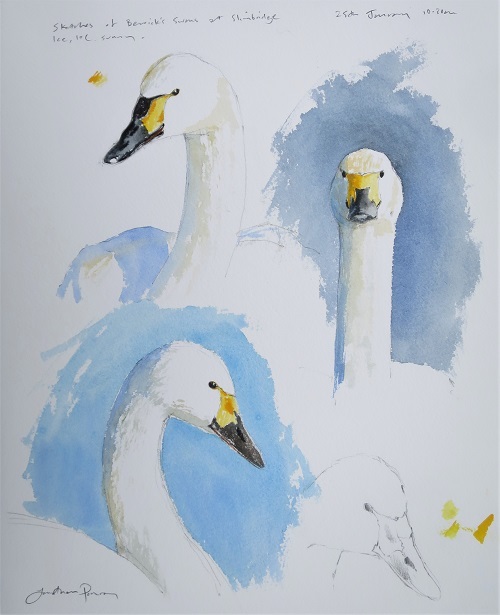 Bewick’s Swan studies. Available at my studio. Red- throated Diver. 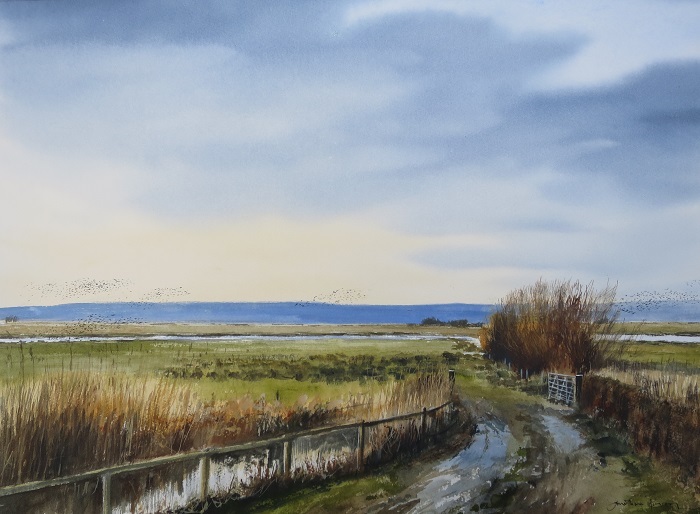 Available at Birdscapes Gallery, Norfolk. 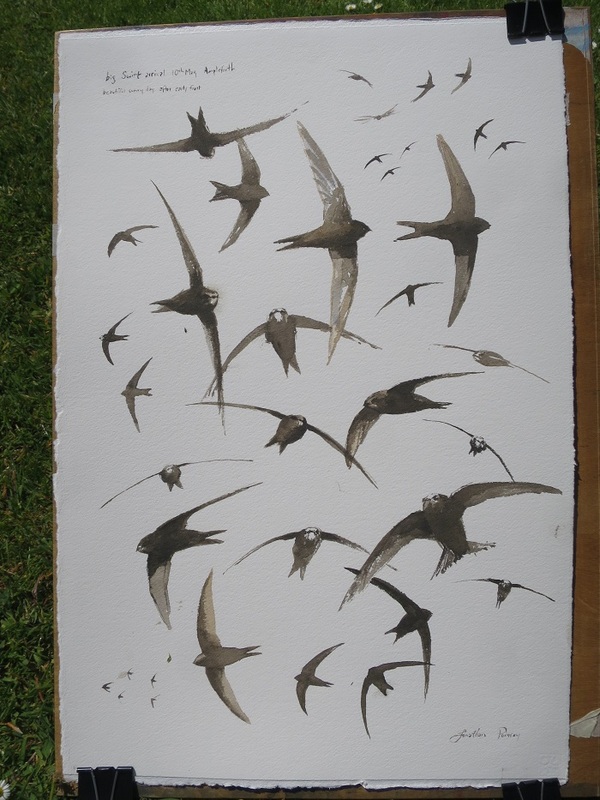 Not many Swifts around today! 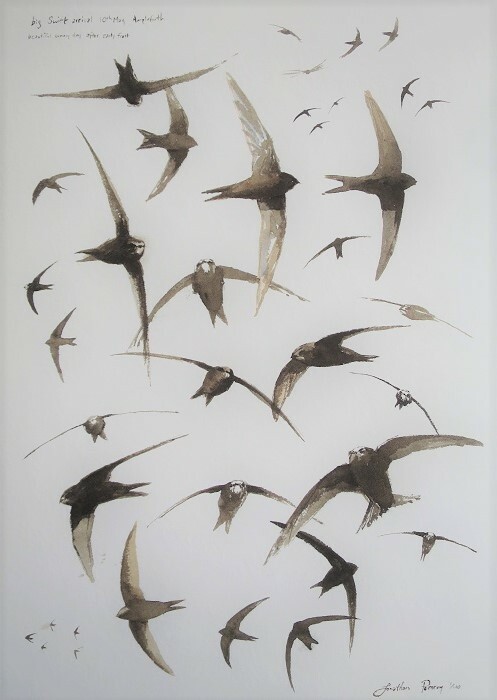 A huge arrival of Swifts today. Large numbers had been held up by the recent cool weather. 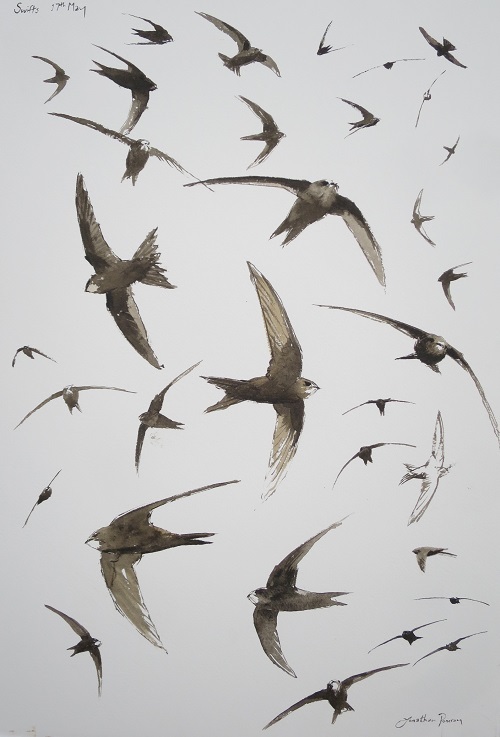 With the change to warm weather the ‘flood gates’ have opened and the sky is full of Swifts. 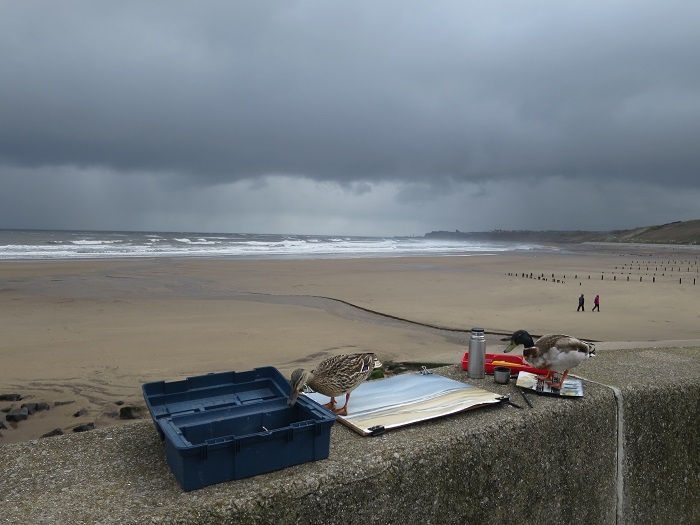 Pairs are reforming in the nest boxes giving spectacular views as the approach inches from my face. I sat outside on the lawn and drew directly with my squirrel mop brush loaded with sepia watercolour. Such a joy to study that wonderful shape again and to hear them ‘screaming’ through a cloudless blue sky. 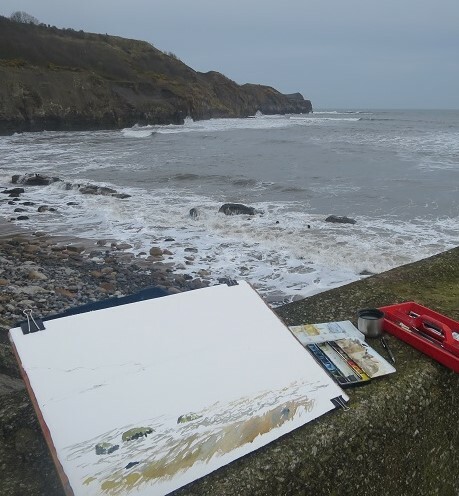 With the temperature at 3c and a very gusty onshore Northerly wind bringing sleet showers I thought that today’s en plein air hazards were clear cut. 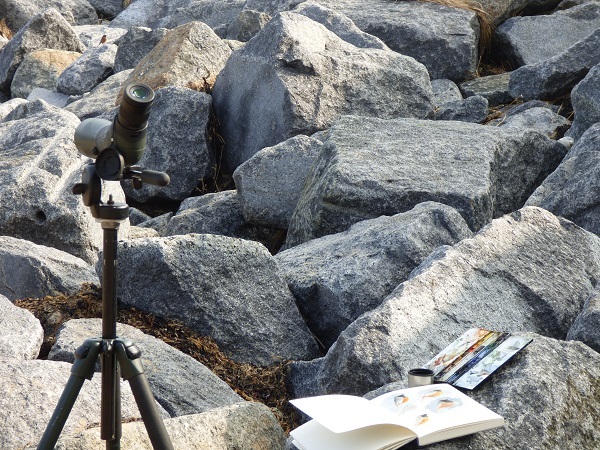 Always expect the unexpected when painting outside and never wander far from your painting! 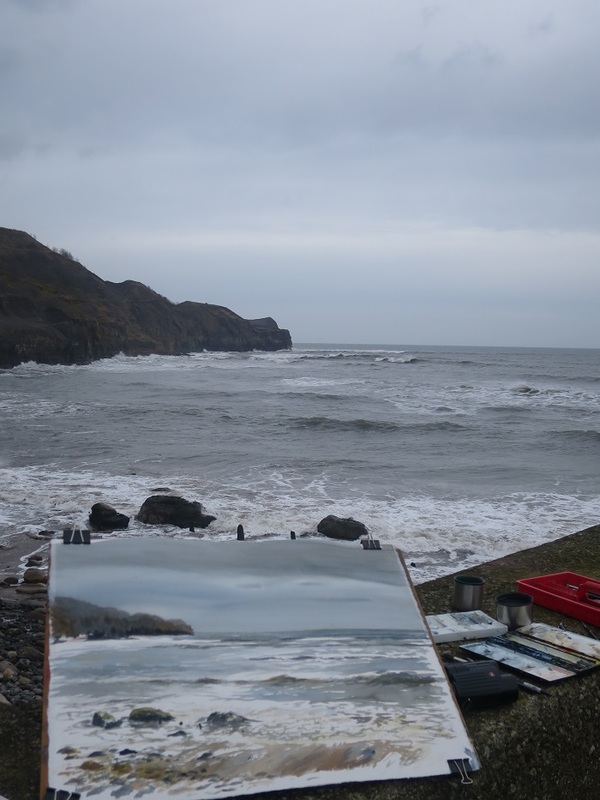 22″x15″ watercolour of Whitby from Sandsend. Some wonderful skies today. 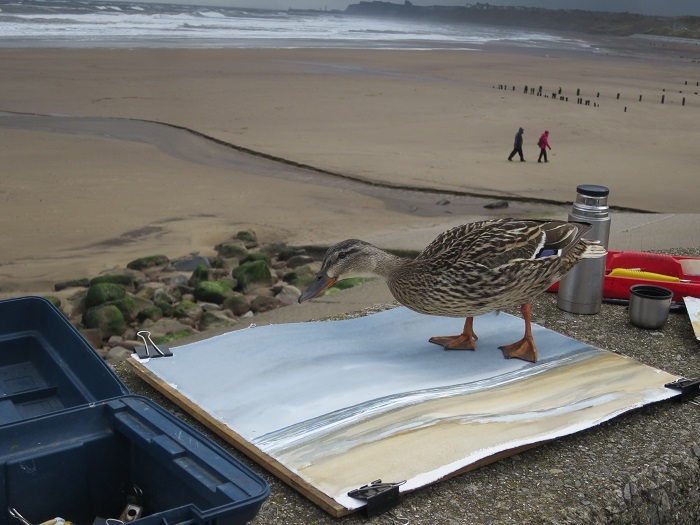 Message me if you want a watercolour by me and a female Mallard! 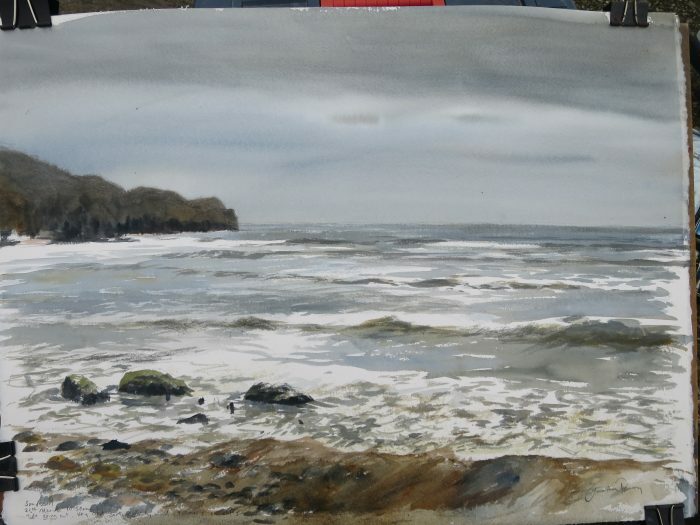 Recent watercolours on location. 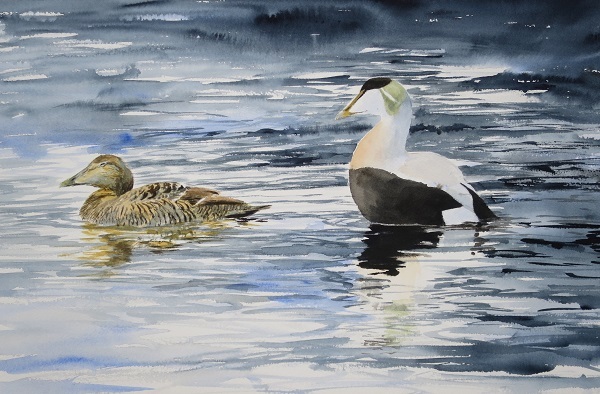 The Eiders were sketched at Hartlepool. Wonderful to be so close to these gorgeous sea ducks. The drakes were displaying and making their “ahhooooo” call to the females. The light was fantastic for painting. 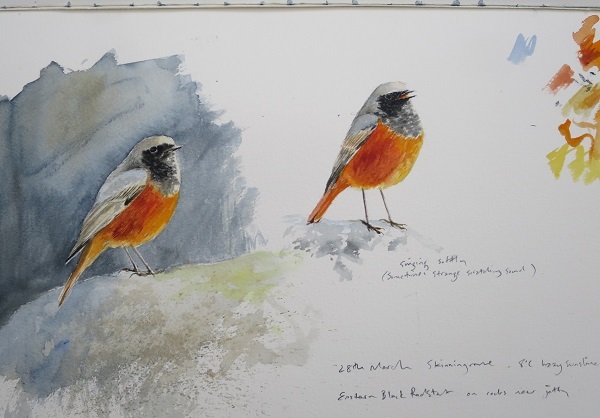 Then on to Skinningrove where an Eastern Black Redstart has resided on rocks near the jetty since arriving in the Autumn. 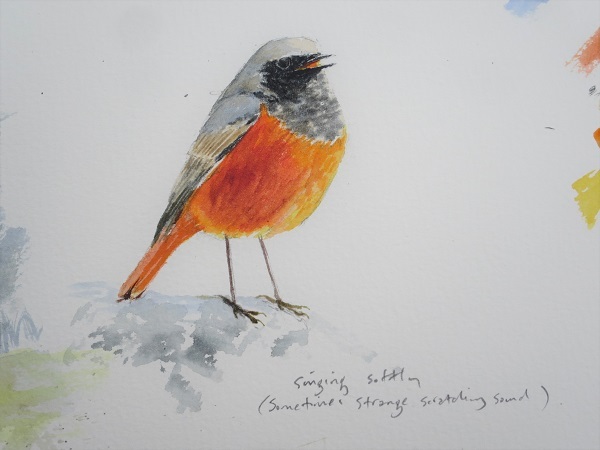 This is a race of Redstart which should be thousands of miles East of here at the moment. 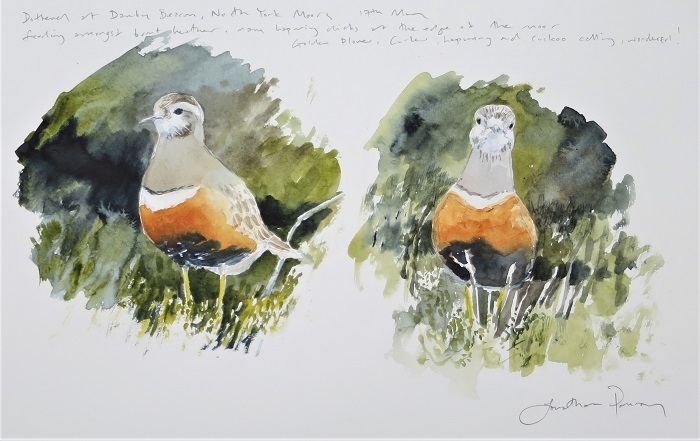 This stunning little bird has entertained hundreds if not thousands of birders over the Winter. This morning I had him mostly to myself. He approached within 4 feet at times. He can be seen in the top left of one picture. Both paintings for sale on GALLERY page. 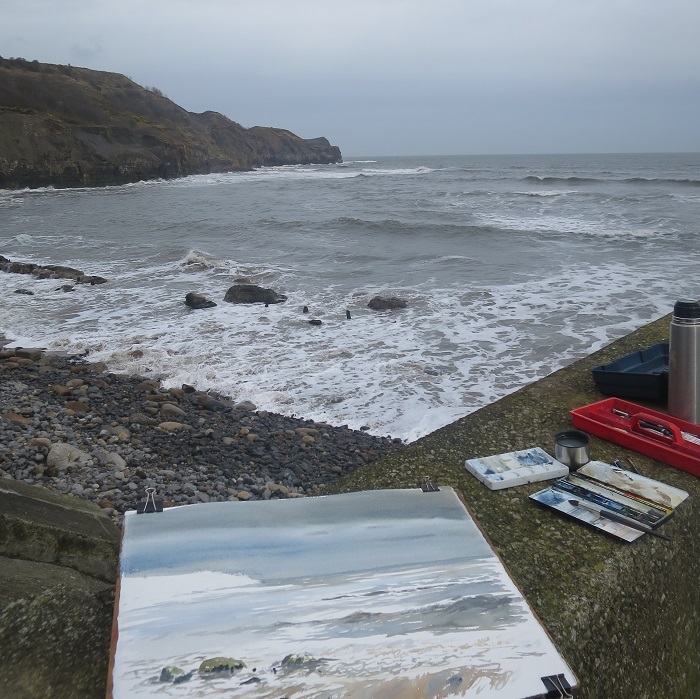 I completed this 22″ x 15″ watercolour at Sandsend this morning. 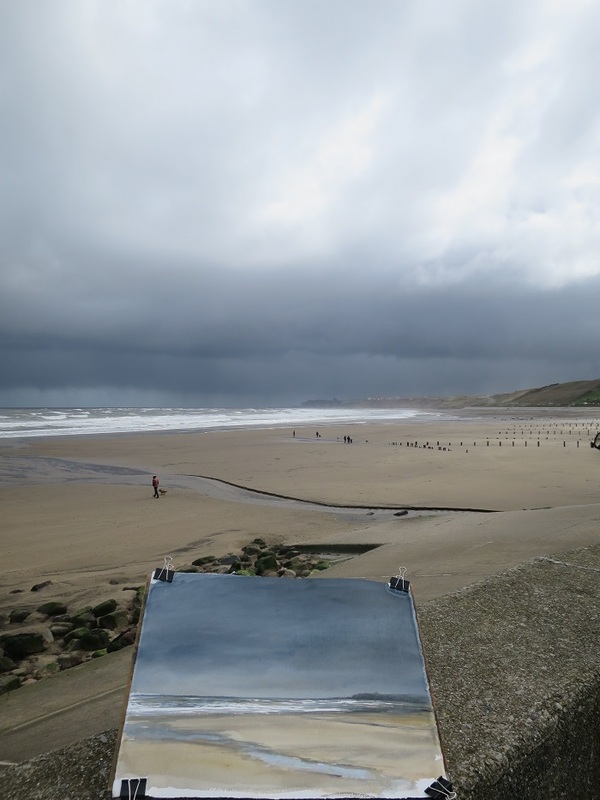 Hampered by a biting south easterly wind the conditions were challenging for watercolour en plein air. But the experience is always so rewarding. Fulmars were busy on the cliffs nearby. Hardy souls walking out to or back from the headland peered down at my work from the nearby steps. 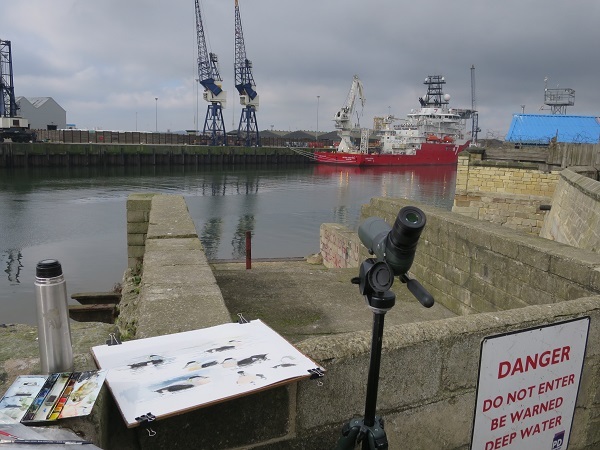 I enjoy people watching me painting and sometimes wish they were less shy about coming to have a look. That said, I was too busy to talk any sense. 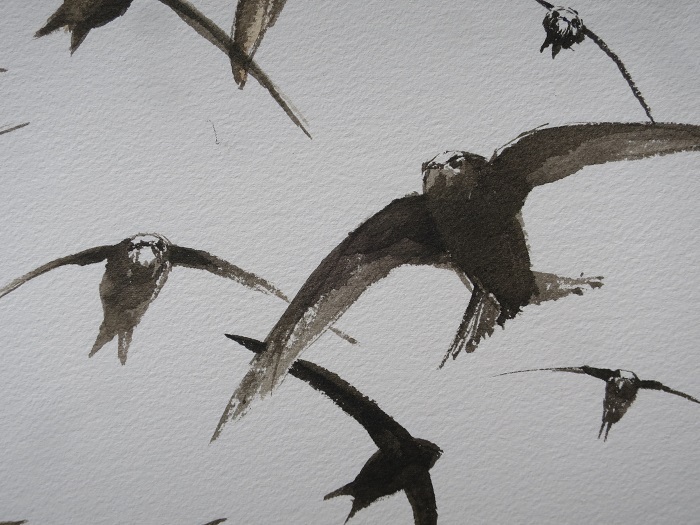 Watercolour outside changes fast and dries slowly and demands great concentration.